The 23th of May, the « Journée des doctorants » (JDOC’2019) will take place at Centrale Nantes. The goal of this event is to bring together all the PhD students of the various specialities of ED MathSTIC, in order to present their work and promote exchanges. 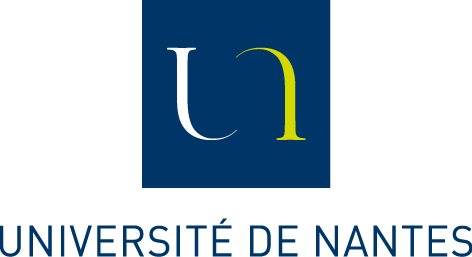 As a second year doctoral student doing your PhD in Nantes, you will take an active part in this day. Indeed, it will focus on the presentation of your work through posters and oral presentations. We recall that participating to this event is mandatory. You are invited to prepare a four pages paper (in French or English) along with an abstract of half a page. They must introduce your work so that it is understandable for scientists who are not specialists of your field of study. Your papers will be joined into a single volume that will be distributed to participants. Notice that your paper and its abstract should be received by April 16. Submission details are available on the JDOC website http://jdoc.univ-nantes.fr. – Around 10 oral presentations of 15 minutes each will be scheduled during the day. They will be selected by the organising committee after receiving your paper submissions. In case your paper is not selected you have to do a poster. – A1 posters will be exposed on site throughout the day. The production of the poster is under your full responsibility (and at the expense of your laboratory) and will be taken there by you. An electronic version of this poster must be received by May 2. A few posters will be presented as 120 seconds talks (on voluntary basis). For more information, check the website (http://jdoc.univ-nantes.fr) or contact the organising committee (jdoc@univ-nantes.fr).